You may be under the false assumption that curtain tracks need to hang from a wall mounted position. However, you always have the option of attaching your curtain tracks to the ceiling. It can create an entirely different look for your curtains that can add drama, distinction, and height to your room. Ceiling mounted wall curtains are also very practical if you don’t have enough from between the window (or whatever area you’re covering) and the ceiling. 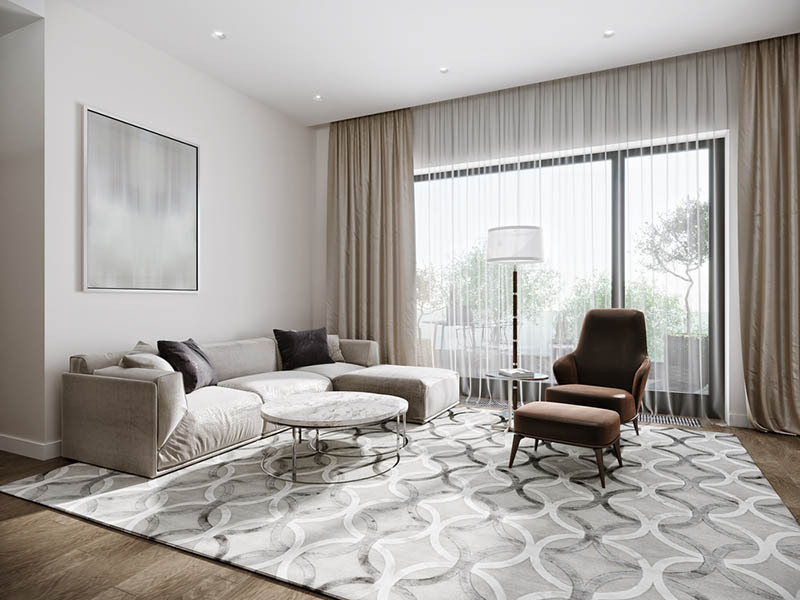 Curtains mounted on a ceiling track are fantastic for a room that has large floor to ceiling windows.When left to their own devices floor to ceiling windows can create a cold feeling but adding ceiling-mounted curtains can add warmth. If you’re in a situation where you have large windows in your home you can add curtains that fit seamlessly with the theme or color of your existing room. You can also use ceiling mount curtain tracks for covering patio doors especially if there isn’t any wall space for traditional wall-mounted rods. You can also use ceiling mounted tracks to create a dividing element between a room. If you have a large open concept home (think renovated factory or repurposed church) you can use a large curtain to create privacy. When looking for the right curtains and curtain rods you should choose a track material and color that blends as seamlessly as possible with your ceiling. Curtain tacks come in steel, aluminum and plastic. You should also keep in mind how heavy your curtains are. There is a strength factor involved when choosing the right curtain track. Obviously, metal options will have more strength than plastic. So, consider the weight of the fabric you want to hang before making a purchase. Metal tracks can also have a corded design that allows you to open your drapes and curtains with the pull of a string. One other thing to consider when sizing up the needs of your windows is what kind of shape they have. If you have curved windows you don’t want to put up curtains or drapes that look chunky or out of place. Instead, you can hang your curtain on a bendable that can be formed to fit your window. Being able to tailor your curtain track to the right proportions and shape will ensure that it covers that space required. With the affordability and customization that’s afforded with flexible curtain tracks, you can create window covers for any type of room. 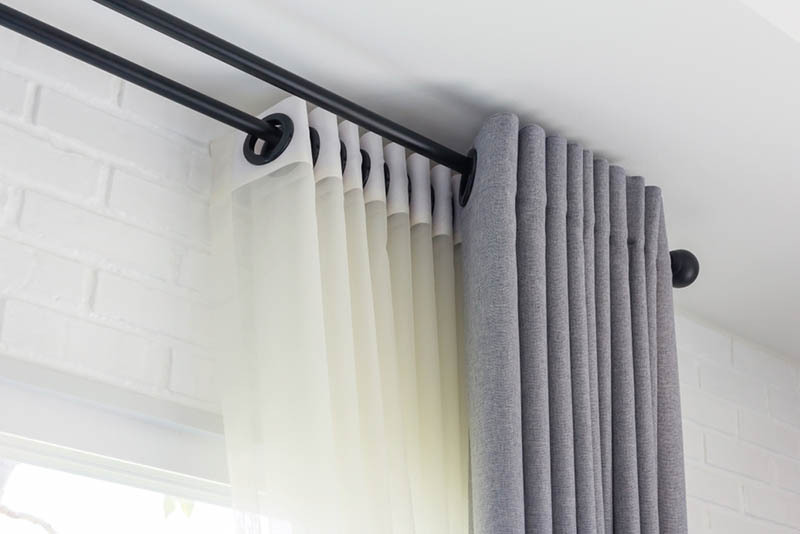 FlexTrack works to create options for your curtain needs. In fact, our tracks can transform into any curved surface that you need to cover. In fact, you can even fit Flex Track tracks inside your window frame if needed. Don’t worry about length either, our tracks can run a continuous 82 feet depending on the materials they are made from. Check out our shop today and view all of our options and find one that works best for your windows.